Huludao Longyuan Upsetting Equipment Co., Ltd, is the earliest and most professional manufacturer of hydraulic upsetting press and related auxiliary equipment in China. 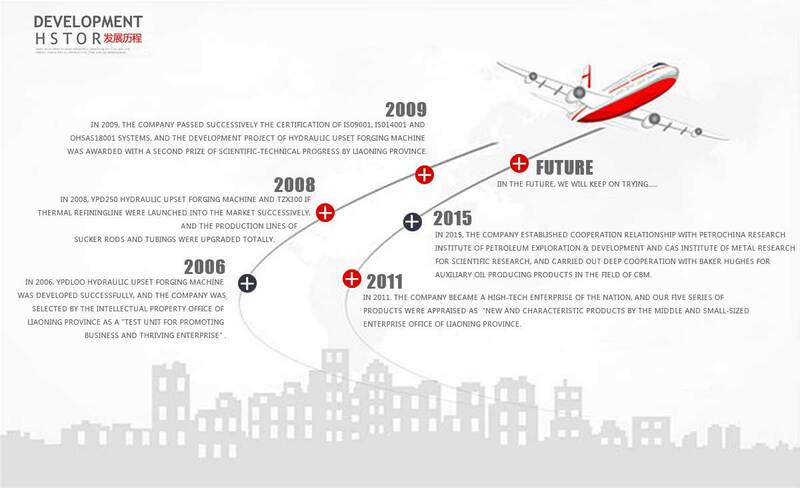 We always act in obedience to the concept of "everything for the customer, all from innovation", establish and improve the company's research and development system, and constantly develop high-tech, high value-added upsetting presses. Our main products are: YPD series of hydraulic upsetting press, TZX IF quenching and tempering line, automatic feeding device, etc. Our products have advanced technology, reliable performance, with 100% independent intellectual property rights. Our products are ideal equipment for hot partial forming of drill collar, drill pipe, oil pipe and other long workpiece. Our company has passed ISO9001, IS14001 and OHSAS18001 certification. 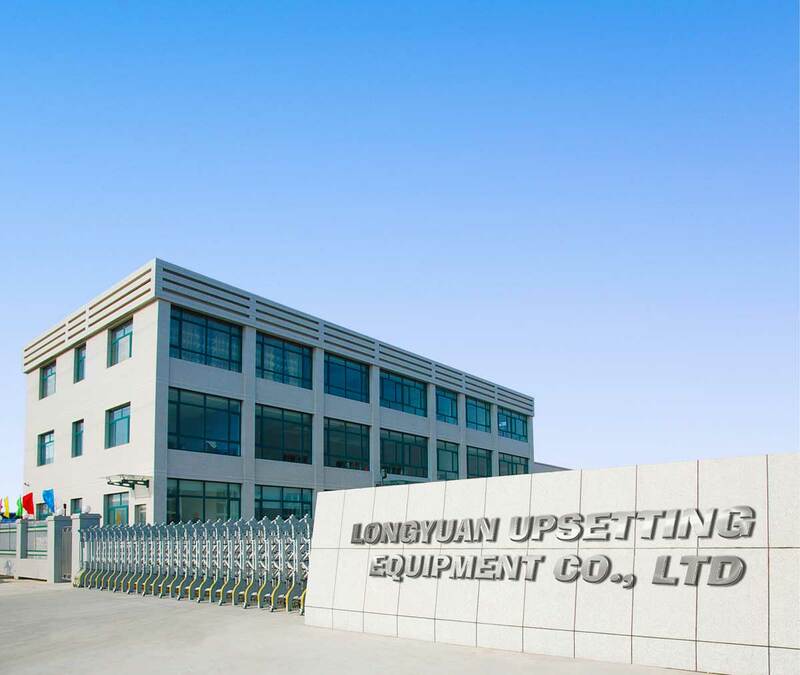 Longyuan equipment has led the industry with unique technology, production of leading upsetting and heat treatment equipment in China. Our upsetting machines and other heat treatment not only are not only widely used in oil field industry, but also penetrated into many areas of the manufacturing and processing industry. We have excellent technical support team, providing customers all over the world excellent upsetting equipment, excellent upsetting technology, excellent installation & commissioning and excellent after sale service. Our company is sister company of Anyang Xinheng Machine Tool Co., Ltd, we are joint ventures. Anyang Xinheng company is empowered to promote products manufactured by Huludao Longyuan Upsetting Equipment Co., Ltd.